Remove the parking brake cable retaining clip (1) from the parking brake cable bracket. 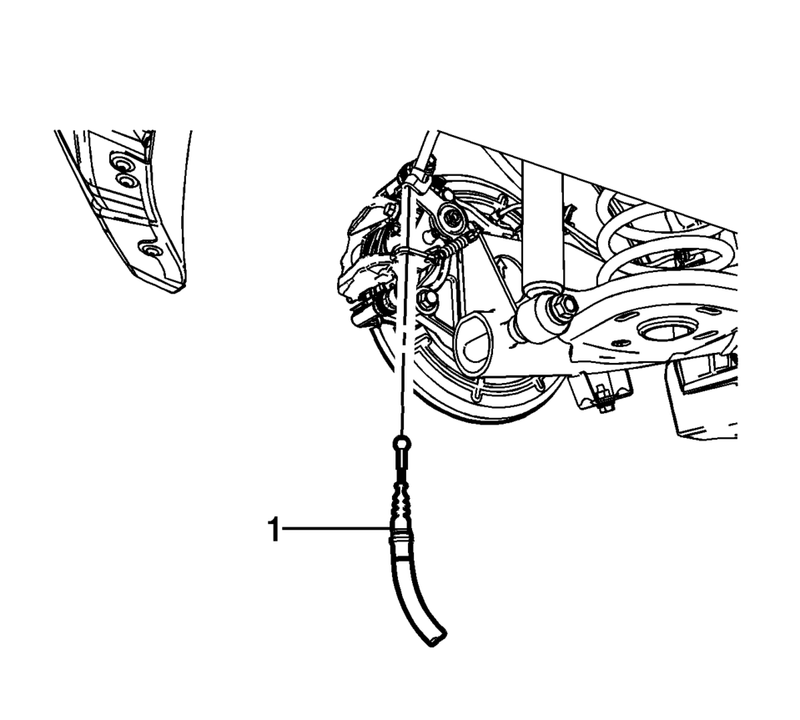 Disconnect the parking brake cable (1) from the actuator lever, remove the cable from the bracket and position aside. Remove the brake hose fitting bolt (1). Do not reuse the brake hose fitting gaskets. 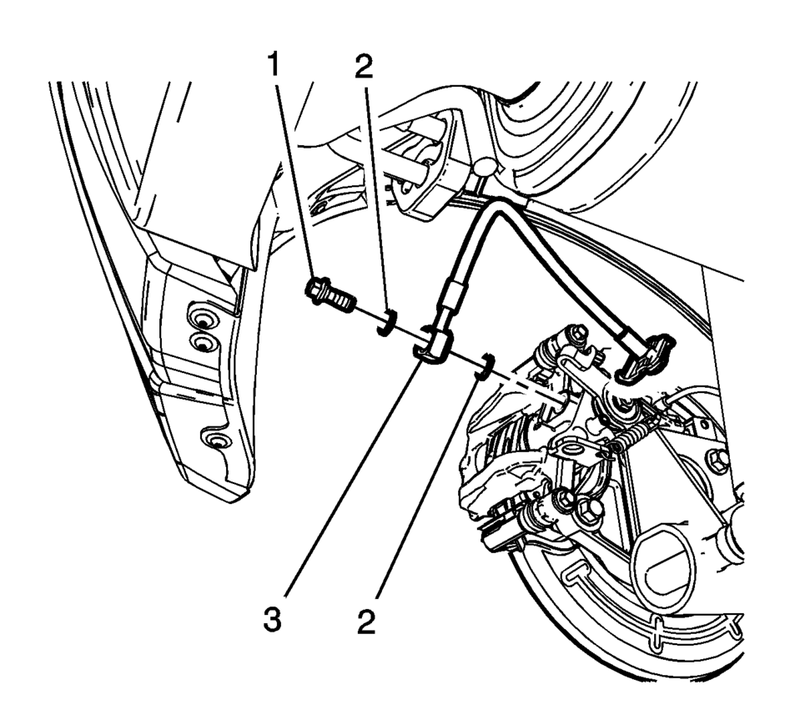 Remove and discard the brake hose fitting gaskets (2) from the brake hose fitting (3). 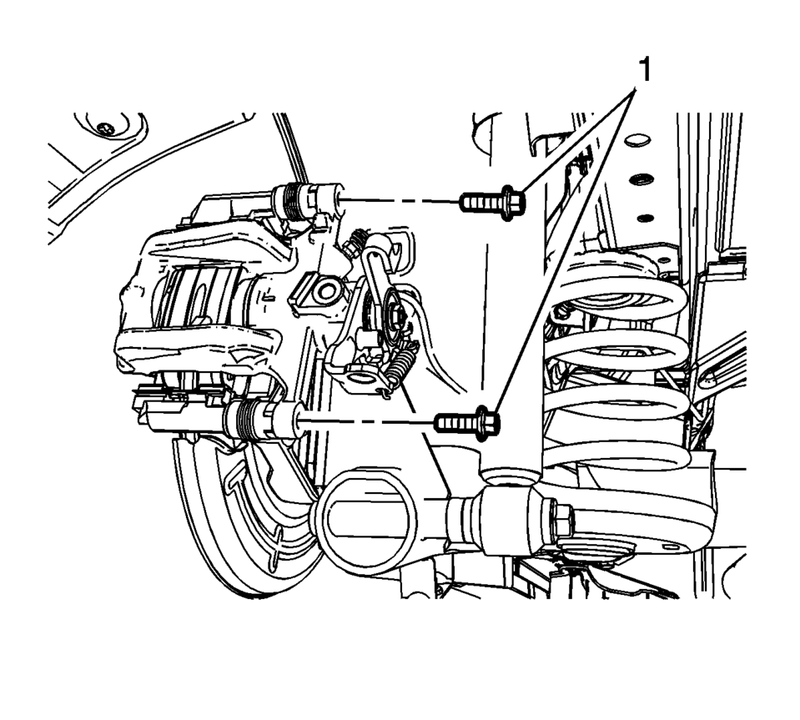 Cap the brake hose fitting to prevent brake fluid loss and contamination. 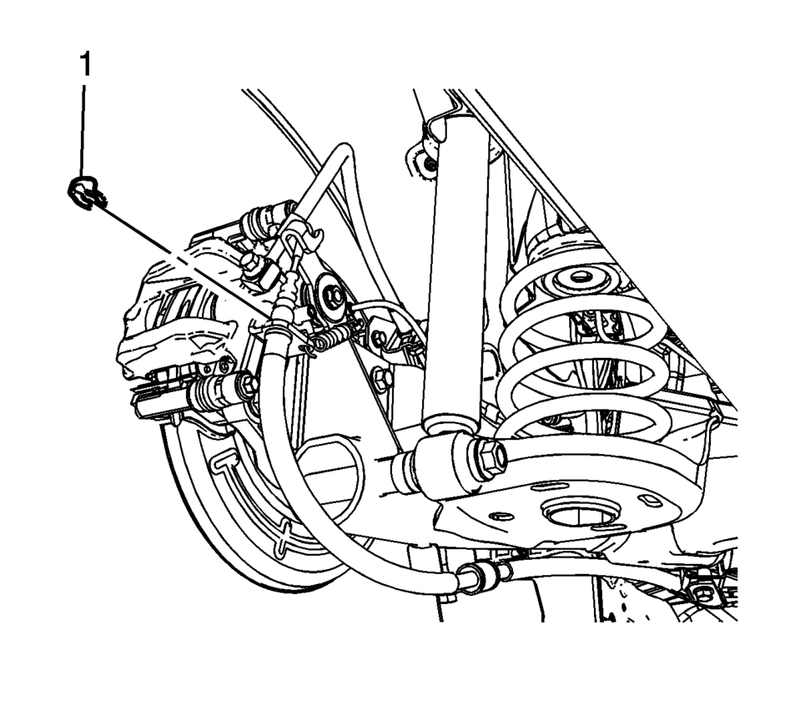 The brake caliper piston must be fully retracted into the caliper bore before installation. Using a brake caliper piston spanner tool, rotate the brake caliper piston clockwise while applying pressure to the face of the caliper piston to compress the piston into the caliper bore. Install new brake hose fitting gaskets. Assemble the brake hose fitting bolt (1) and the new brake hose fitting gaskets (2) to the brake hose fitting (3). Install the parking brake cable (1) to the parking brake cable bracket and the actuator lever. Install the parking brake cable retaining clip (1) from the parking brake cable bracket.